•	Laurea in Ingegneria Civile (110/110 e lode con menzione di merito), Univ. di Padova, 2001. •	Dottorato di Ricerca in Idrodinamica e Modellistica Ambientale (XVII ciclo), Univ. di Padova, 2005. •	Research Fellow presso la School of Computational Science e il Department of Geological Sciences, Florida State University, 2003-2004. •	Borsa di studio per attività di ricerca post-dottorato, Univ. di Padova, 2005-2007. •	Ricercatore Universitario, Dipartimento di Geoscienze, Univ. di Padova, 2008-2014. •	Professore Associato, Dipartimento di Geoscienze, Univ. di Padova, 2014-. • Lode e Menzione di Merito per il curriculum degli studi, Univ. di Padova, 2001. • Outstanding Student Paper Award, Fall meeting, American Geophysical Union, S. Francisco, CA (USA), 2004. • Revisore per le riviste internazionali: Nature Geoscience; Nature Communications; Proceedings of the National Academy of Sciences USA; Geophysical Research Letters; PLOS-ONE, Journal of Geophysical Research; Water Resources Research; Estuarine Coastal and Shelf Science; Continental Shelf Research; Geomorphology; Earth Surface Processes and Landforms; Marine Ecology Progress Series; Advances in Water Resources; Coastal Engineering. 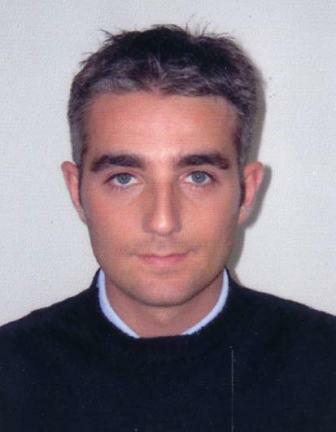 • Guest Editor per lo Special Issue “Ecogeomorphological feedbacks of water fluxes, sediment transport and vegetation dynamics in rivers and estuaries” su Advances in Water Resources (IF2014: 3.417), assieme ai Proff. Marco Toffolon (Università di Trento) e Carlo Camporeale (Politecnico di Torino). D’Alpaos’ current research is in the fields of environmental fluid mechanics and ecogeomorphology, with special emphasis on estuarine systems. The research activity deals with the observation, understanding and modeling of the ecomorphodynamic evolution of estuarine systems governed by intertwined processes of physical, chemical and biological nature, in response to changes in the forcing due to e.g. climate change and human pressures. •	Multiple equilibria and abrupt transitions in tidal eco-morphodynamics. •	52. Silvestri S., A. D’Alpaos, G. Nordio, L. Carniello (2018), Anthropogenic Modifications can Significantly Influence the Local Mean Sea Level and Affect the Survival of Salt Marshes in Shallow Tidal Systems, Journal of Geophysical research - Earth Surface, in press. •	51. Mueller, P., L.M. Schile-Beers, T.Mozdzer, G.L. Chmura, T. Dinter, Y. Kuzyakov, A.V. de Groot, P. Esselink, C. Smit, A. D'Alpaos, C. Ibáñez, M. Lazarus, U. Neumeier, B.J. Johnson, A.H. Baldwin, S.A. Yarwood, D.I. Montemayor, Z. Yang, J. Wu, K. Jensen, and S. Nolte (2018), Global change effects on decomposition processes in tidal wetlands: implications from a global survey using standardized litter, Biogeosciences, in press. •	50. Boaga, J., M. Ghinassi, A. D'Alpaos, G. Rodriguez, G. Cassiani (2018), Geophysical investigations unravel the vestiges of ancient meandering channels and their dynamics in tidal landscapes, Scientific Reports, 8(1),20061. •	49. Finotello A., S. Lanzoni, M. Ghinassi, M. Marani, A. Rinaldo, A. D'Alpaos (2018), Field migration rates of tidal meanders recapitulate fluvial morphodynamics, Proceedings of the National Academy of Sciences, 115(7), 1463-1468, https://doi.org/10.1073/pnas.1711330115. •	48. Ghinassi M., A. D'Alpaos, A. Gasparotto, L. Carniello, L. Brivio, A. Finotello, M. Roner, E. Franceschinis, N. Realdon, N. Howes and A. Cantelli (2017), Morphodynamic evolution and stratal architecture of translating tidal point bars: Inferences from the northern Venice Lagoon (Italy), Sedimentology, DOI: 10.1111/sed.12425. •	47. Roner, M., M. Ghinassi, M. Fedi, L. Liccioli, L.G. Bellucci, L. Brivio, A. D'Alpaos (2017), Latest Holocene depositional history of the southern Venice Lagoon, Italy, Hololcene, 27(11), 1731-1744, doi: 10.1177/0959683617708450. •	46. D'Alpaos A., M. Ghinassi, A. Finotello, L. Brivio, L.G. Bellucci, M. Marani (2017), Tidal meander migration and dynamics: A case study from the Venice Lagoon, Marine and Petroleum Geology, 87, 80-90, doi: 10.1016/j.marpetgeo.2017.04.012. •	45. Xin P., T. Zhou, C. Lu , C. Shen, C. Zhang, A. D'Alpaos, L. Li (2017), Combined effects of tides, evaporation and rainfall on the soil conditions in an intertidal creek-marsh system, Advances in Water Resources, 103, 1-15, doi: 10.1016/j.advwatres.2017.02.014. •	44. Ganju N.K., Z. Defne, M.L. Kirwan, S. Fagherazzi, A. D'Alpaos, L. Carniello (2017), Spatially integrative metrics reveal hidden vulnerability of microtidal salt marshes, Nature Communications, 8, 14156, doi: 10.1038/ncomms14156. •	43. Zhou Z., G. Coco, I. Townend, M. Olabarrieta, M. van der Wegen, Z. Gong, A. D'Alpaos, S. Gao, B.E. Jaffe, G. Gelfenbaum, Q. Hei, Y. Wang, S.
Lanzoni, Z. Wang, H. Winterwerp, C. Zhang (2017), Is “Morphodynamic Equilibrium” an oxymoron?, Earth-Science Reviews, 165, 257–267,http://dx.doi.org/10.1016/j.earscirev.2016.12.002, Invited Review. •	42. Brivio L., M. Ghinassi, A. D'Alpaos, A. Finotello, A. Fontana, M. Roner, N. Howes (2016), Aggradation and lateral migration shaping geometry of a tidal point bar: An example from salt marshes of the Northern Venice Lagoon (Italy), Sedimentary Geology, 343, 141-155, http://dx.doi.org/10.1016/j.sedgeo.2016.08.005.